It’s pretty, beauty, and happy-looking! No one can detest daisy as you will only be falling in love with this small perennial, and can go all-day counting “he loves me, he loves me not” until your prince charming shows up. Daisy flower meaning screams uplifting themes and has a lot to do with purity and innocence. When you hear children say, “oopsy daisy” and they laugh out loud, even the god seems to be appealed. Daisy flower consists of two different flower parts combined into one, namely the disc floret and the ray floret. The disc floret looks pretty much like a light bulb surrounded by the ray floret as its petals—almost like the cloud surrounding the sun. Daisy meaning is the king of virtue as this flower speaks nothing but delight. In the old days, daisy is known to be said as the “day’s eye” due to its physical appearance. Daisy flowers can grow all year round and highly resistant to weather or bugs, but only blossoms during day time-hence, the name day’s eye. In the Latin language, daisy can also be translated as pearl because its round, white petals are looking exactly like one. The day’s eye refers to two significant events in human’s life. The first is when the daisy closing its petals in the evening to blossom again the next morning to meet brand new fresh day. Daisy’s original name also depict the tide of spring, which highly connected to the energy of the sun. This also associated with the flower’s arrival, depicting solar attributes with its bright yellow center that radiates its surrounding. 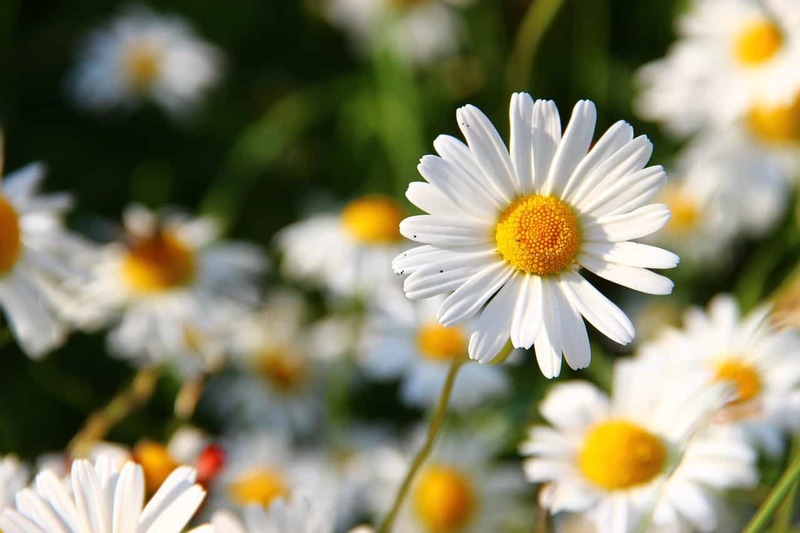 In the Celtic folklore, daisy meaning is associated with the god’s loving way to cheer parents who lost their child. Every time a baby died, the god sprinkle daisies on the ground that will bring ease to the parents. Given by the other legend, daisy flower also has special meaning in the Norse mythology. It is said that the small group of petals are Freya’s divine flower. While Freya is depicted as the goddess of beauty, motherhood, beauty, and fertility, daisies then portrayed to symbolize new beginnings, purity, childbirth and everything related to maternity. Considered as the flower of April birth, daisy symbolism represents different meaning in different culture. Happily, most of the cultural meaning behind daisy flower is about positive energy and bliss. This representation is mainly related to daisy’s form of appearance in modern Paganism. 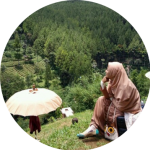 The sun illustrates the power and strength-the sun also shines through after a rainstorm that tells a new hope after every misfortune. In the ancient Victorian era, daisy flower meaning can tell a different story, based on their species. The Michaelmas daisy portrays farewell, the Gerber daisy describes sincerity and cheerfulness, while the English daisy symbolizes the love of a mother. The latter flower is often paired with primrose as a symbol of childhood. The old tale of Roman tells that daisy is a symbol of transformation and chastity. The story begins when Vertumnus, the god of gardens and seasons, became obsessed with Belides, a beautiful nymph. His tireless effort and pursue started to offend the nymph so that she transformed herself into a daisy. Hence, the scientific name of the flower, Bellis perennis, is derived from the beautiful nymph’s name. In Christian tradition, daisy meaning has a close relation to Virgin Mary. the flower is a sacred symbol of Virgin Mary that depicts innocence, purity, humility, and chastity. Daisy meaning is also often incorporated in Renaissance painting, which also represents the birth of the Christ as a simple virtue, a new beginning, a hope-the flower is used to replace lily which depicts a more alluring scenario. In the modern era, daisy meaning can bring balance and harmony. This flower can make a great room decoration to express that you are satisfied with your life, or send it as a bouquet that will tell that you are happy with your partner. In general, daisy can mean anything blissful and enchanting. When comes in different color, daisies can mean differently as well. The flower belongs to the Asteraceae family with more than 22,000 species and various colors. To help you plant and plan the garden to bring positive energy, here are some of the most common daisy flower meaning. as bright as it can be, yellow daisy represent joy, cheerfulness, and excitement. The flower is best to be placed in your living room to cheer any blue mood. Pink daisies are the best companion to express your high regards. A bouquet full of pink daisies is believed to be the best way to express your admiration, high esteem, and adoration to someone you love. Red is commonly regarded as the color of brave. In the world of gerbera, red daisy means love or unconsciously in love with someone. When you give red daisies, it shows that you are fully immersed in love with that someone. White daisy, also counted as the most common type of gerbera depicts innocence and purity. White daisy meaning also represents childlike nature and frequently associated with new hope as children are the hope of our future. The many meanings of the daisy are attributed to the flower’s natural characteristics. 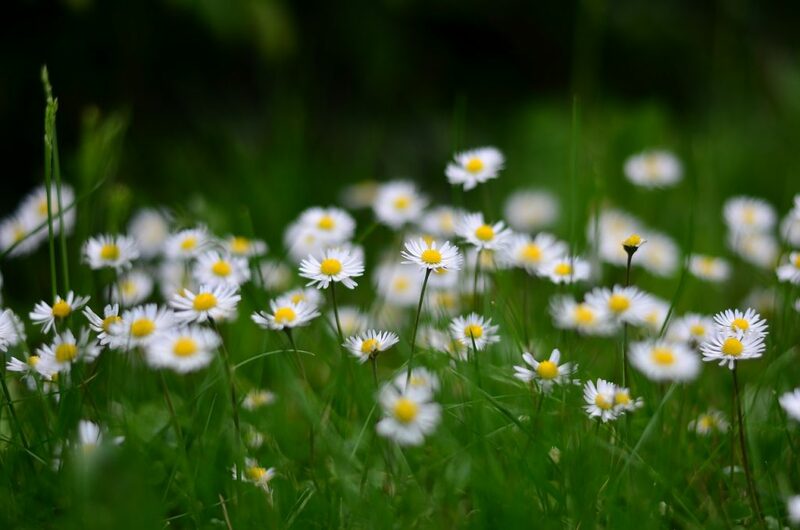 In general, daisies also represent true love, youth, virginal — fertility, daintiness, cleanliness, joy, life, light, truth, family, security, appreciation, and consistency. Daisy flower meaning also often used in herbology, believed to bring certain effect in soothing pain and the reason for many health benefits. The flower mostly used to make a medicinal tea, drunk to treat a cough, bronchitis, and inflammation. People also incorporate this flower to treat kidney and liver disorder and believed to have a curing effect on skin infection when applied directly, thanks to its antiseptic properties. Growing daisy, it only takes a little maintenance under loads of sun.